Glossotherium skeleton. Harlan's Ground Sloth. Fossil replica. DISARTICULATED/CRATED. * Original of LA CMNH Page Museum La Brea Tar Pits. Glossotherium was a genus of ground sloth. 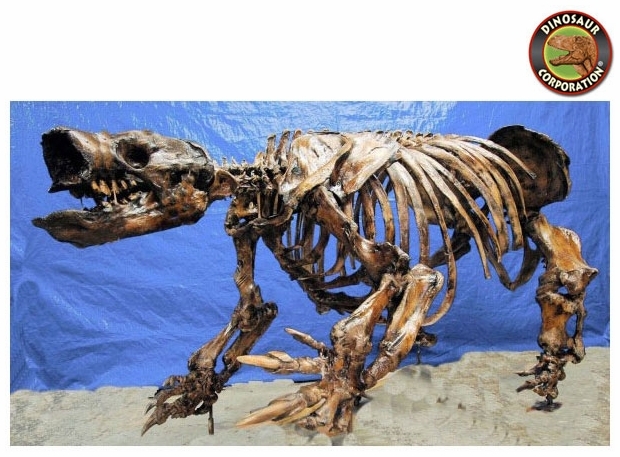 It was a heavily built animal with a length of about 4 meters snout to tail-tip, a weight estimated at 1,000 kg, and could potentially assume a slight bipedal stance.